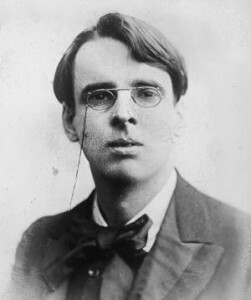 In 1923, Yeats was awarded the Nobel Prize in Literature, “for his always inspired poetry, which in a highly artistic form gives expression to the spirit of a whole nation”. In addition to his poetry, Yeats devoted significant creative energy to writing plays. Several of my uncles and aunts had tried to teach me to read, and because they could not, and because I was much older than children who read easily, had come to think, as I have learnt since, that I had not all my faculties. I was unfitted for school work, and though I would often work well for weeks together, I had to give the whole evening to one lesson if I was to know it. My thoughts were a great excitement, but when I tried to do anything with them, it was like trying to pack a balloon in a shed in a high wind.